Since 1979, the FIRC Group Inc. has been a family owned and operated full-service commercial real estate company built upon a solid reputation in both commercial and residential development. With their reputation preceding them, new relationships and ventures have been created and established over the years. 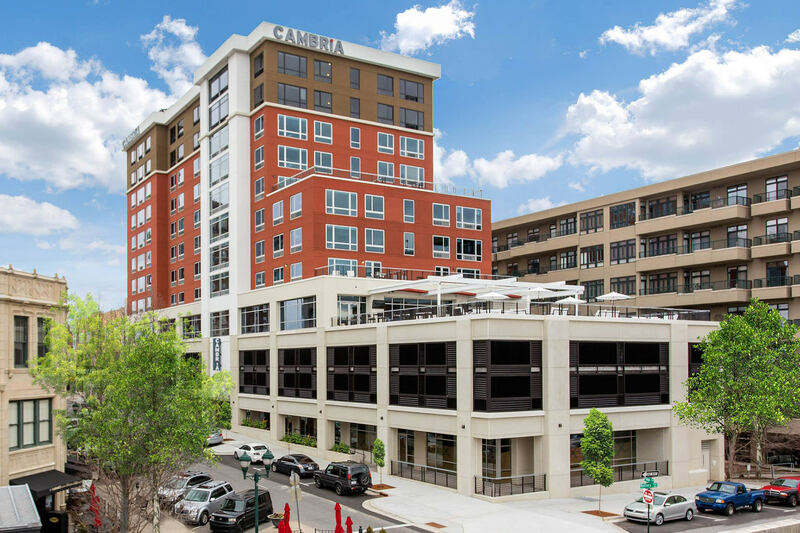 One of these is Cambria Hotels, a global leader in hospitality innovation, and preeminent professional in commercial development. 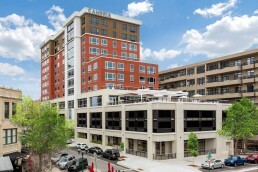 As titans of their industry, collaboration on Asheville’s downtown Cambria Hotel was met with great anticipation. 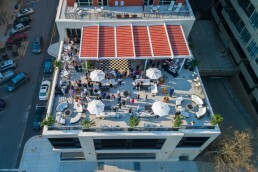 Determined not to become a transient destination amongst surrounding craft breweries, restaurants, art galleries and music venues, the Cambria Hotel boasts a fourth-floor terrace home to the flavourful Cuban inspired patio restaurant Hemingway’s Cuba. With its uninterrupted view of the Blue Ridge Mountains, authentic Cuban cuisine and a cocktail menu masterfully tailored as an ode to the famous El Floridita Bar in Havana, Hemingway’s has quickly become a downtown hotspot, both figuratively and literally. 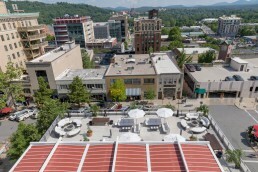 The humid subtropical climate, traditionally found in Asheville, created a need at Hemingways, to provide guests with efficient protection from both sun and rain. To adequately provide cover for the 1300 square foot open-air terrace, we installed three 24×18-motorized canopies atop a steel pergola with a perimeter gutter system to manage water run-off. 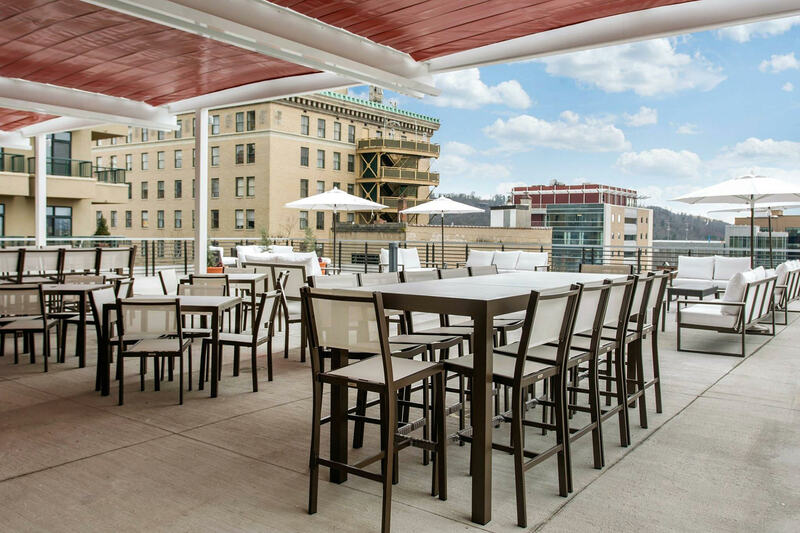 The addition of weather coverage adds an elegant touch to the already impressive terrace space, and much like the literary work of the bar’s namesake, the final result is a masterpiece. 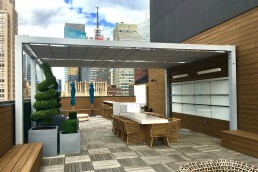 “The three-bay, motorized, retractable canopy that ShadeFX did for our 4th floor terrace turned out great. The product itself is beautiful, of exceptional quality, and extremely easy to operate. 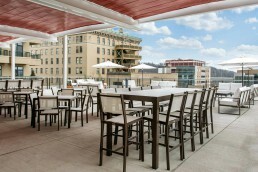 It is a centerpiece to our building’s feature space – the 4th floor terrace. It allows us to serve customers outdoors – at our Hemingway’s Cuba restaurant – while protected from the rain and sun, and also provides ambiance and a sense of enclosure to the dining portion of our large outdoor terrace. 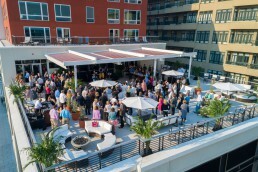 – Jeff Ream, Director of Real Estate Development, FIRC Group Inc.
At first, teaming up with the likes of FIRC Group Inc. and Cambria Hotels seemed like a tall order. 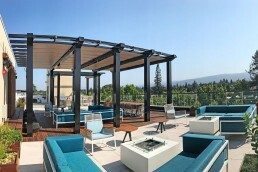 However, we are confident that on this project, the ShadeFX solution will only add to our own ever-growing reputation as the ultimate outdoor canopy system. 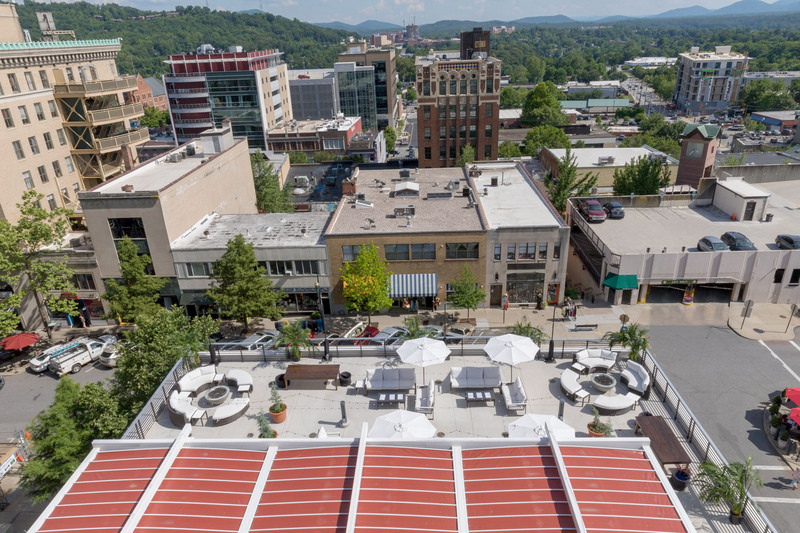 The humid subtropical climate, traditionally found in Asheville, created a need at Hemingways, to provide guests with efficient protection from both sun and rain. 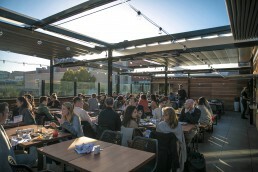 To adequately provide cover for the 1300 square foot open-air terrace, we installed three 24×18-motorized canopies atop a steel pergola with a perimeter gutter system to manage water run-off.